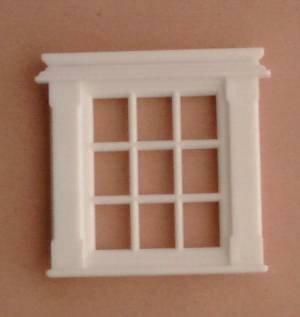 1/24th scale Georgian style white plastic window with 6 panes. 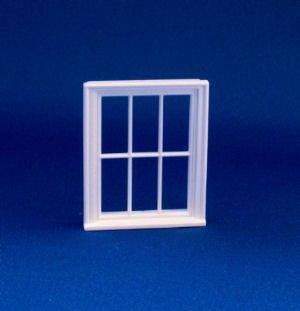 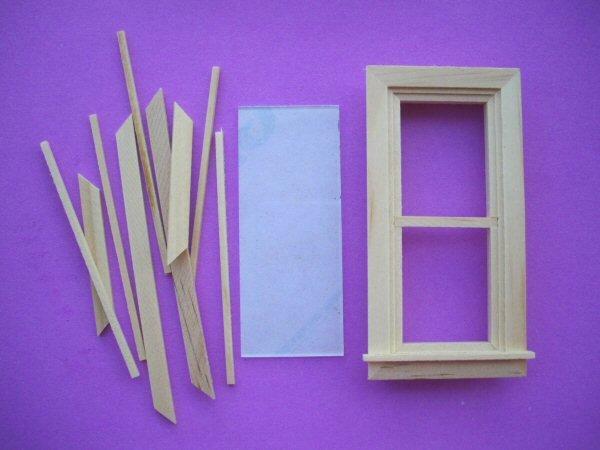 Ideal for dormer window or cottage. 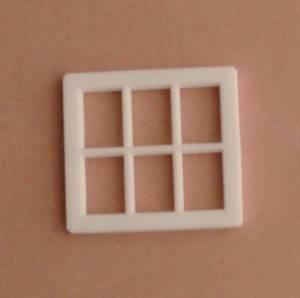 Overall size 33mm x 36mm.